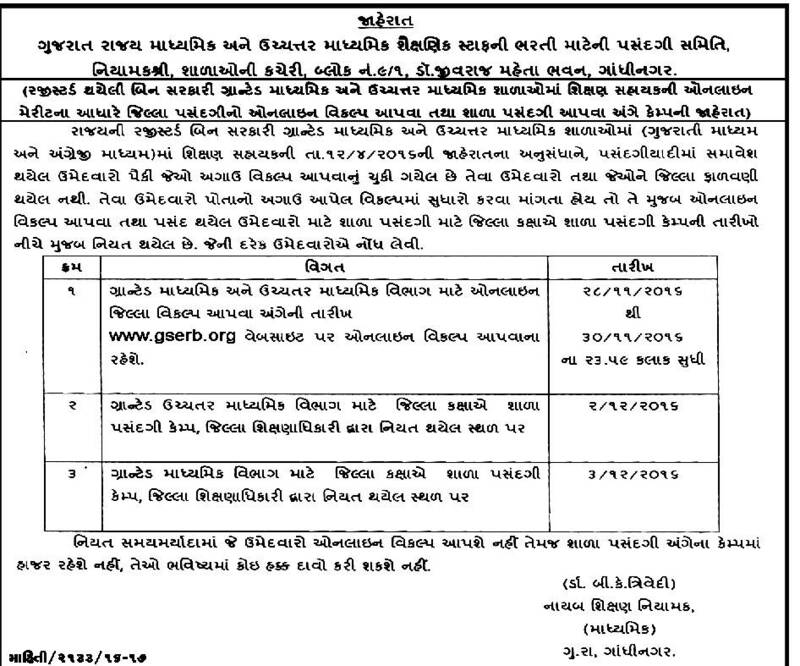 Gujarat State Secondary and Higher Secondary Education Staff Recruitment Board (GSERB) has published important notification for Shikshan Sahayak recruitment District Selection for eligible candidates. Selected candidates select their District & School Online through official website. 0 Response to "GSERB Shikshan Sahayak Recruitment District Selection (Vikalp) & School Selection at www.gserb.org"